Crown canker is a fungal disease that attacks flowering dogwood trees. The disease, also known as collar rot, is caused by the pathogen Phytophthora cactorum. It can kill the trees it attacks or can leave them vulnerable to lethal attack by other pathogens. For more information on crown canker on dogwood trees, read on. Dogwood trees suffer from a variety of diseases and conditions, most of which result in only cosmetic damage. Some are caused by improper care, such as water stress, resulting from inadequate irrigation during dry periods. Other avoidable diseases include leafspot and sun scorch, which occur when this understory tree is planted in full sun. However, two dogwood tree diseases are potentially lethal to the trees. Both are canker diseases. One, dogwood anthracnose canker, kills leaves, twigs and branches, starting in the lowest branches. It often kills the tree within three to five years. The other deadly canker is known as crown canker of dogwood. Crown canker on dogwood trees is the most serious of the dogwood tree diseases in the eastern United States. It is caused by a canker that, over several years, girdles the tree and kills it. What are the first visible symptoms of crown canker on dogwood trees? 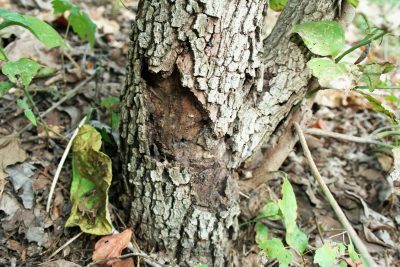 You may not see the canker immediately on an infected tree. Look for undersized leaves of a lighter color than normal on a tree that appears stressed. Over time, twigs and branches die on one side of the tree as the disease spreads. If you take steps to prevent dogwood tree bark problems, especially wounds, you are one step ahead of the game. 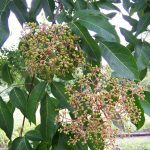 Prevention of wounds is easier than dogwood crown canker treatment. As with many other canker diseases, crown canker of dogwood often enters through wounds on the base of the tree. Any dogwood tree bark problems that cause a break in the bark can allow in the disease. The most important step in dogwood crown canker treatment is prevention. 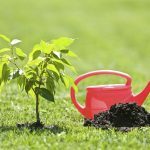 Take care not to wound the tree with garden tools when you are transplanting it, or lawn mowers or weed whackers after it is planted. Insects or animals can also wound the tree bark and allow the disease to enter. Once the fungus has infected a large section of the dogwood’s base, you can do nothing to save the tree. 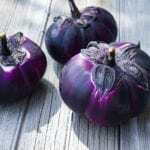 However, if only a small area is diseased, you can try to stop its spread by cutting out the canker, removing all discolored bark and sapwood and some 5 cm of healthy bark. Use a sharp knife to perform this excision. Protect the new wound from infections by painting the area with orange shellac. Use an asphalt-base wound paint on the exposed heartwood. If the tree dies anyway, don’t replace it with another dogwood.